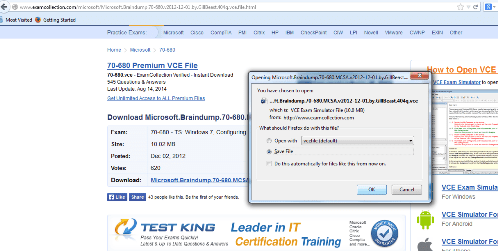 VCE files, or VCE exams - whatever you choose to call them, are often referred to as VCE exam dumps, or braindumps. This term is used for VCE exams that supposedly consist of real exam questions that come straight from certification exams or relevant standardized tests. Such VCE Dumps become a great source of trustworthy exam preparation information, helping candidates achieve better scores on their exams. 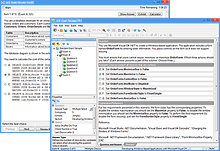 They help candidates get used to the exam look and feel, as well as interactive experience (this is crucial for those candidates who haven't taken a computer-based certification exam before). They provide candidates with the exact questions and study areas that will appear on the exam, so they know exactly which concepts to memorize and which figures to keep in mind. Therefore, candidates can avoid wasting time on learning unnecessary information. Even though there are plenty of VCE exams and websites available online, not all of them can be trusted. Experience shows that it's best to either get a VCE practice exam from a friend or colleague (or just someone you can trust), or download a VCE practice exam from ExamCollection. There are a lot of file sharing platforms on the Internet, so what sets ExamCollection apart from most of them? First of all, it's the fact that users can leave comments and upvote the VCE exams they like, so you can see whether or not the file is trustworthy and should be downloaded. For example, this screenshot shows us that Microsoft's 70-680 VCE exam download from user named GillBeast has the best rating at the moment. Let's use it as example on how to download and use VCE practice exams. Once you have saved the file, you can open it with your VCE Player. Go to the VCE Player page for details.